The original building, now used as offices, was opened during Newark’s 250th anniversary celebration in 1916. President and Mrs. Wilson stayed in the hotel when they came to Newark to participate in the anniversary celebration. Albert Einstein and Eleanor Roosevelt also spent time at the hotel in later years. The crowning glory of the original hotel was its ornate lobby. 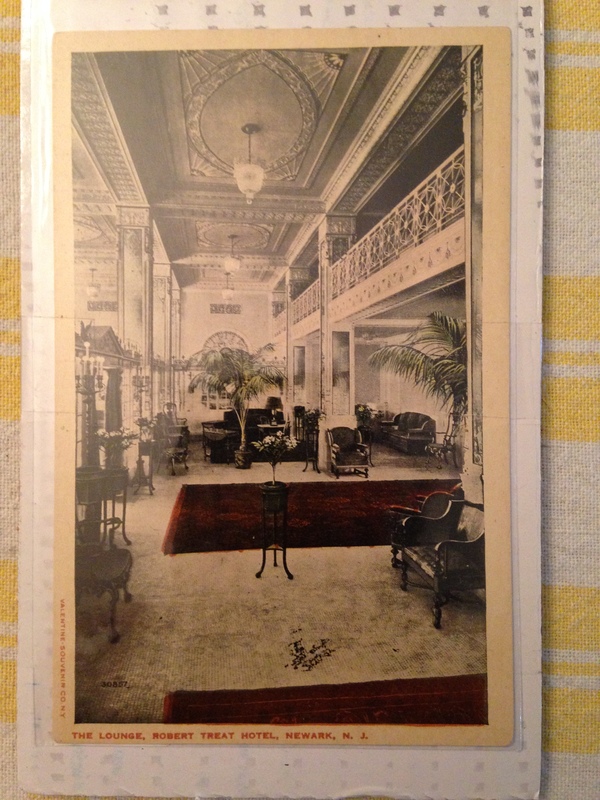 Among the splendid features were: tall decorative columns, marble and mosaic floors, wrought iron grilles , a balcony for tea and a beautiful fireplace with a portrait of Robert Treat above it The post card shown here gives an idea of how sumptuous the lobby was.